In rural communities across the developing world, small farmers lack education on basic farming techniques, instead relying on traditional practices that hurt their income and put them at serious risk for malnutrition. But in Rwanda, a public-private partnership with the Walmart Foundation, USAID and Global Communities is leading the way to helping farmers learn new methods to improve their livelihoods. Activities under this Project MOU will include agricultural extension activities (funded by Walmart and the Walmart Foundation) and nutrition training activities (funded by USAID), targeted towards 50,000 beneficiaries, building on the existing structure of IILP. For the agricultural extension component, farmers will choose from among three sets of sector-specific trainings, according to their interests and resources. All beneficiaries will receive nutrition training. The project will be implemented in new sectors within in eight districts of intervention in Rwanda’s Southern and Western Provinces: Nyaruguru, Nyanza, Huye, Nyamagabe, Gisagara, Rutsiro, Karongi,and Ngororero. In support of the aforementioned activities, Global Communities will train “Be the Change Volunteers” to provide extension services and support to beneficiaries. Local Farmer Field Schools will be established to provide technical assistance and facilitate learning. Beneficiaries will also participate in regular visits to model producers in nearby villages. Walmart, is an American multinational retail corporation that runs chains of large discount department stores and warehouse stores. Walmart remains a family-owned business, as the company is controlled by the Walton family, who own a 48 percent stake in Walmart. The company was founded by Sam Walton in 1962, incorporated on 1969, and publicly traded on the New York Stock Exchange in 1972. It is headquartered in Bentonville, Arkansas. 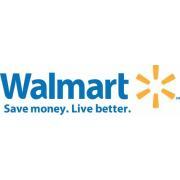 Walmart is also the largest grocery retailer in the United States. In 2009, it generated 51 percent of its US$258 billion sales in the U.S. from grocery business. Walmart remains one of the world's largest charitable contributors to local communities through volunteerism, financial contributions and in–kind donations. In 2005, they began their emphasis on environmental sustainability. Today, they have programs supporting many areas including economic opportunity, hunger, responsible sourcing and healthy living. They're focused on making the food they sell healthier and more affordable. In the U.S. alone this past year, they saved customers more than $1 billion on fresh fruits and vegetables through sustainable agriculture practices and sourcing improvements. They help millions of associates build successful and rewarding careers. In 2011, they took on a new opportunity — women's economic empowerment. Walmart's efforts will not only support the advancement of women in their company, but also will strengthen women–owned enterprises across the globe through a focus on sourcing and training. The Walmart Foundation creating opportunities so people can live better. Walmart is committed to helping people live better through addressing community needs and enhancing opportunities in education, workforce development, environmental sustainability, and health and wellness. Walmart also supports disaster relief efforts, veterans and military families, individuals with disabilities, and the underserved. It’s their mission to create opportunities so people can live better. THhey consider it their responsibility to make a positive impact in the communities they serve. Whether it’s through the grants they provide to the thousands of organizations that share their mission or through the inspiring volunteer efforts of Walmart associates, they are passionate about helping people live better one community at a time. In 2011, Walmart and the Walmart Foundation gave $958.9 million in cash and in-kind contributions around the world. This includes $872.7 million in cash and in-kind gifts in the United States and $86.2 million in cash and in-kind gifts in international markets. In addition, Walmart associates volunteered more than 1 million hours that resulted in more than $13 million in grants to local nonprofits. In 2010, Walmart and the Walmart Foundation made a historic $2 billion commitment to help end hunger in America. The Fighting Hunger Together initiative will provide 1.1 billion pounds of food from Walmart facilities and give $250 million to hunger relief organizations through 2015. Walmart also committed to raising awareness about the issue of hunger in America to its millions of customers and associates and to collaborate with business, government, food manufacturers and other corporations to help fight hunger. The company is making good on its pledge, giving 338 million pounds of food to local food banks in the last fiscal year, the equivalent to more than 264 million meals. The retailer and its Foundation also gave $60 million in grants to U.S. hunger nonprofits in the last fiscal year. A Look at Walmart’s Giving in the U.S.
They’re helping people to live better in the communities where they operate and Walmart asks its associates to get involved in local community organizations. Walmart’s Volunteerism Always Pays Program (VAP) awards nonprofit organizations with financial contributions when Walmart associates volunteer. During the last fiscal year ending Jan. 31, 2012, associates volunteered over 1 million hours that resulted in more than $13 million in grants to local nonprofits. In 2011, Walmart doubled its commitment to support job training and education for military veterans as they transition to the civilian workforce to $20 million over the next five years. One example of this commitment is a two-year $1 million grant to the Entrepreneurial Bootcamp for Veterans with Disabilities (EBV). Thegrant has helped the EBV, a program free to qualifying veterans and designed to help veterans make the transition from the military to self-employment, expand its reach and provide support to its graduates through a network of eight world-class universities across the country. Walmart is focused on address hunger in local communities through their State Giving Program. For example, in 2011 their Connecticut State Giving Council granted $100,000 to expand the Connecticut Food Bank’s Kids Back Pack Program, which benefits more than 1,700 students in 65 schools across the state by providing meals to families in need on weekends and holidays. In 2011, the Sam’s Club Giving Program supported OASIS Institute which promotes successful aging through lifelong learning, healthy living and social engagement in adults age 50 and older with a grants totaling $634,000. At Walmart they believe in a philosophy of operating globally and giving back locally. Walmart gave $86.2 million in cash and in-kind gifts in international markets, up from $66.8 million in fiscal year ending 2011. Empowering 60,000 women in India, Bangladesh, Central America and China through a five-year program which will teach critical life skills to women working in factories in their supply chain. Contributing and raising $3 million CAD for the Breakfast Clubs of Canada, a national non-profit organization dedicated to feeding children and youth in low-income communities across Canada. Supporting retail training schools in Brazil and India to help young adults from challenging backgrounds learn the professional skills necessary to establish careers in retail. So far more than 2,000 young people in Brazil and nearly 9,000 in India have completed the course. Responding with more than $5 million in cash and in-kind relief and recovery donations in the aftermath of the devastating earthquake and tsunami in Japan.